Since 1775 with the beginning of the United States Army, as a part of the United States Armed Forces – United States Military Uniforms and dress codes have changed dramatically. Changes in the United States Uniforms include difference in technology and occasions. The following are some of the different types of United States Army Uniforms we’ll be highlighting the standard types of Army Uniforms as well as Special Ceremonial Unit Uniforms. This type of battle dress United States Army Uniform is also known formally as the Army Combat Uniform (ACU) with technology including flame retardant materials known as Flame-Resistant ACU. The history of the ACU comes after 2004 with the two successes known as the United States Battle Uniform (BDU) and the Desert Camouflage Uniform (DCU) worn between 1980s through the 2000s. The materials made for the United States Combat Uniform is comprised of five main components for the Army; we’ll discuss the specialty and how your profession United States Tailor Uniform Tailor Nearby can support you in minor repairs and alterations including patch and uniform rank replacements. The United States Army Combat Uniform formally known in short as the ACU secures Army Name Tapes that represents the soldier, along with their rank insignias and various patches most important the United States Flag Patch. Over the years the United States Uniform has changed in the sense of technology, along with how the patches are placed, the embroidery along with how the name plates are sewn on by a professional Army tailor. The largest piece of technology on the Uniform includes the Near Infrared Signature Management to allow for other soldiers to identity friendly personnel. There are couple pieces of accessories that go along with the United States Army Combat Uniform Trousers, primarily the two-inch nylon web belt, along with a cargo belt velcro closure. Everything down to the details including the Army Uniform Velcros to the number of belt loops and buttons makeup the trousers. When it comes to the headgear there are two main forms worn by the United States Army. The first piece is the Advanced Combat Helmet, then also the Patrol Cap used by Army Rangers, Army Special Forces to the the Paratroops the camouflage rank may be sewn or worn as is. This is one of the most common Army Uniform Alterations United States Army Combat Uniform regarding caps. As the United States Army move towards a full transition to the OCPs in 2019, it’s important to recognize the moisture wicking sand colored T-shirt is a coyote brown most worn T-shirt. Lastly, an import piece to the United States Army Combat Uniform includes the footwear. The ACU is completed with a tan Army Combat Boots accompanied by an Olive Drab colored cotton socks, with a lot of regulations regarding how the soles are constructed, color, materials and use the final authorized colors will transition in 2019. If you are looking to purchase military uniforms please check out Marlow White and/or USAMM at Cheung’s Tailor we do Alterations from Marlow White for your ASUs and All Military Uniforms. 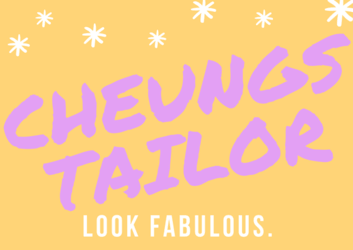 Since 1991, Cheung’s Tailor Alterations has been a nearby tailor of choice in Minnesota and across the United States of America. With all Army Combat Uniforms being the same, even after the transition using our mail in services for Army Rank Insignia changes along with name plates and replacement are available. We only follow the United States Army Regulations 670-1 formally known as the Wear and Appearance of Army Uniforms and Insignia regulations. If your unit does something slightly different please note that in your emails to your local tailors or to us at [email protected].